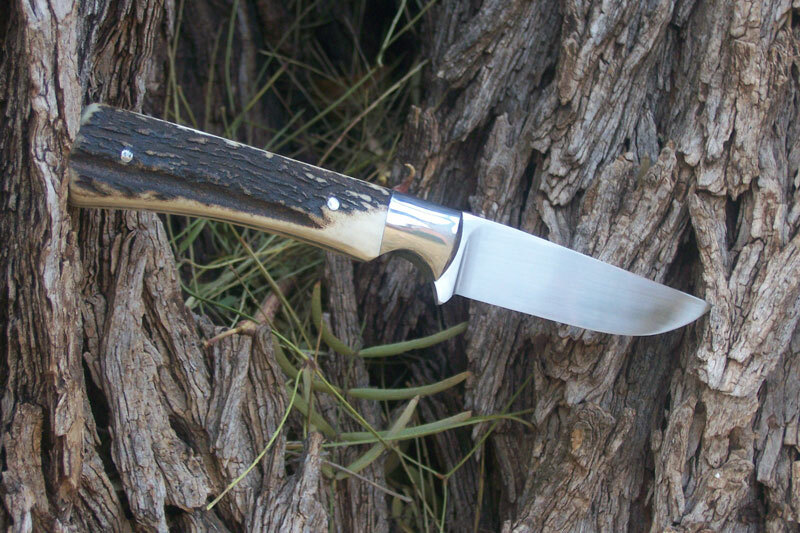 This knife is a slightly longer blade variant of my regular Spicewood Special model. The 1084 carbon steel blade has a finely tapered tang and a 1000 grit satin finish. 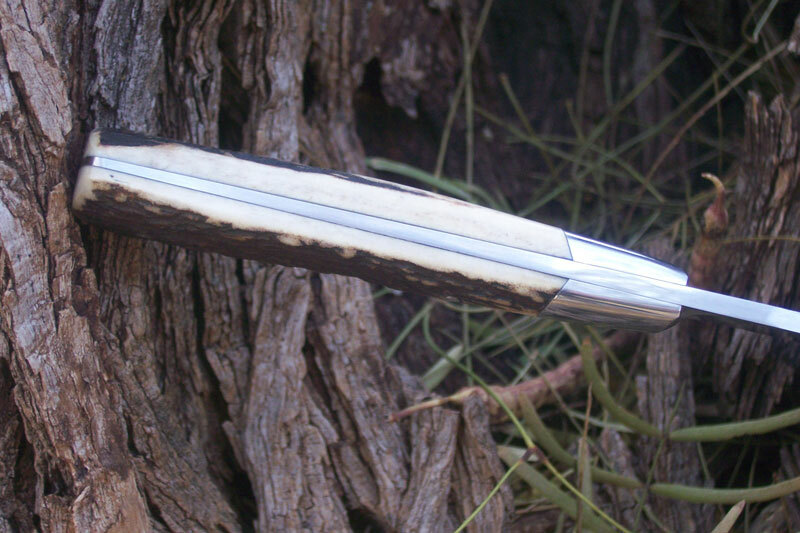 The dovetailed bolsters are 416 stainless, mirror polished and beveled on the front. 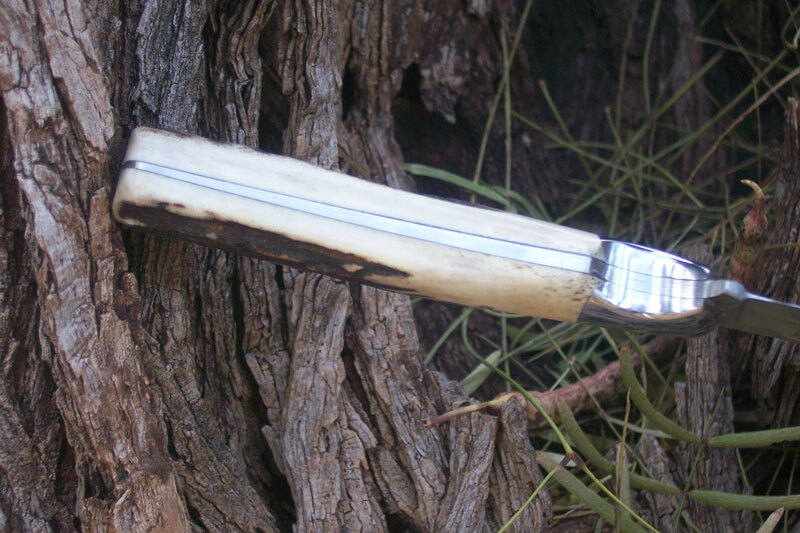 The handle material is genuine Sambar stag. 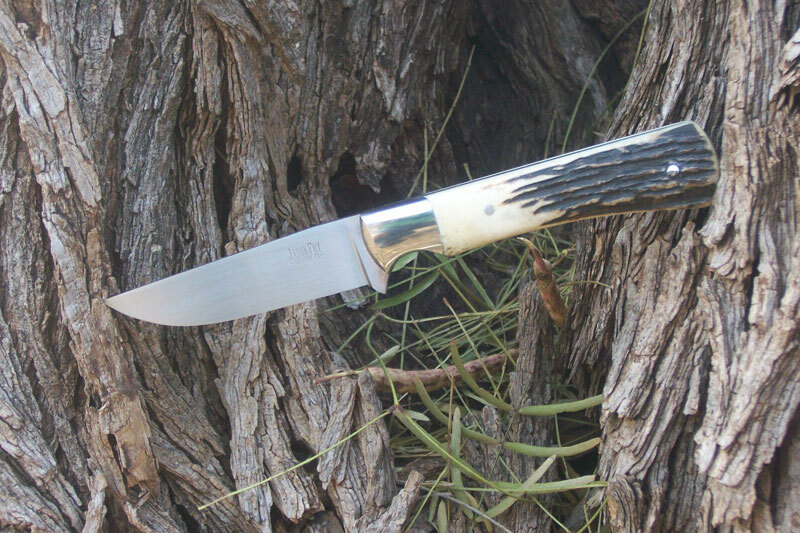 This knife will be available at the Lone Star Knife Expo in DFW in April 2013. 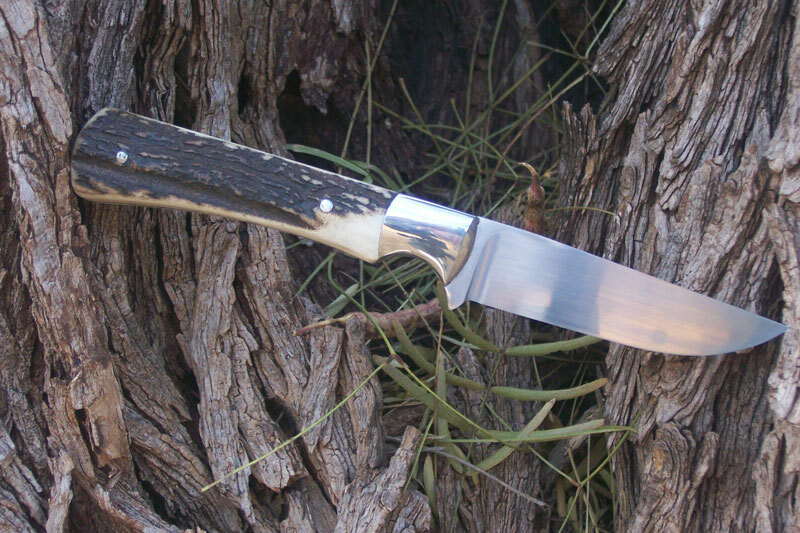 This knife was the final knife of 2012, finished December 31, and is knife #233.